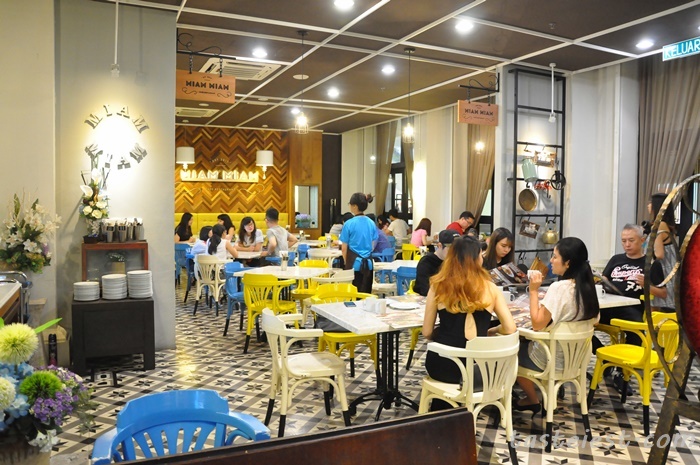 Miam Miam is one of our favorite restaurant for spaghetti and dessert, whenever people asking where to go for good spaghetti we will for sure ask them to visit Miam Miam. 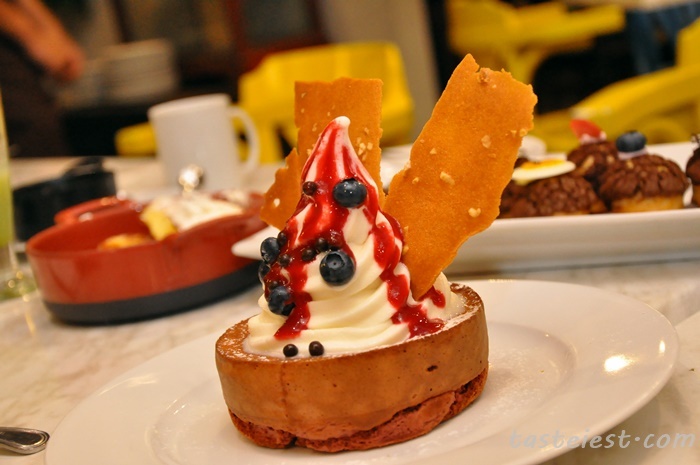 By the way, even though we have so many delicious food in this review but we still come back the next day with family member for another of dessert. It just taste so good and my sister so happy. 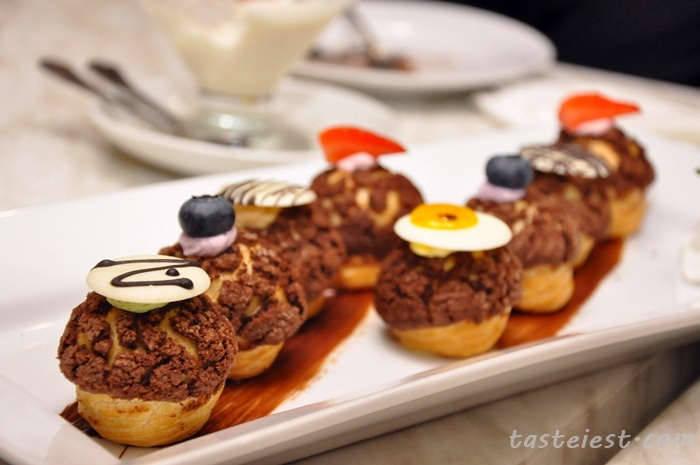 Miam Miam has remove the center decoration to make it wide open and served more table, it has become brigher as well. 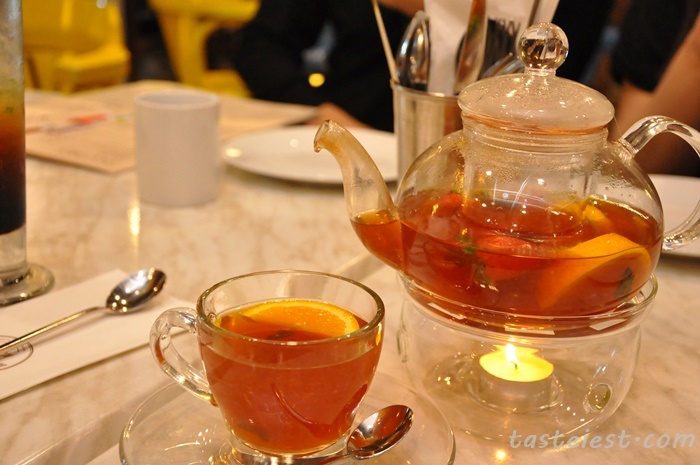 Fresh Fruit Tea Hot RM15 is good enough for sharing, mixture of mint leave, orange and strawberry with english tea, another important item is plum. 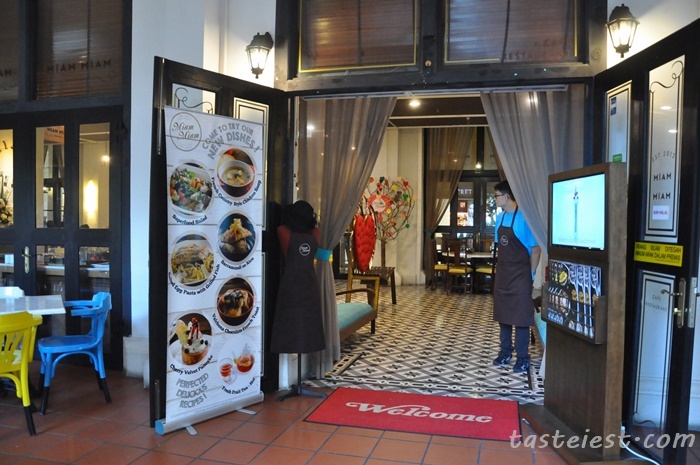 All combine to create a very unique taste, sweet and sour. 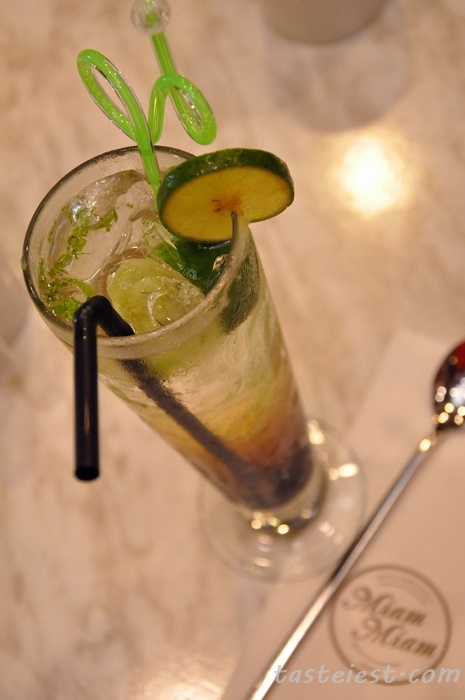 Limette Noir RM13, a combination of lime soda with gula melaka which create a sour and sweet drinks. 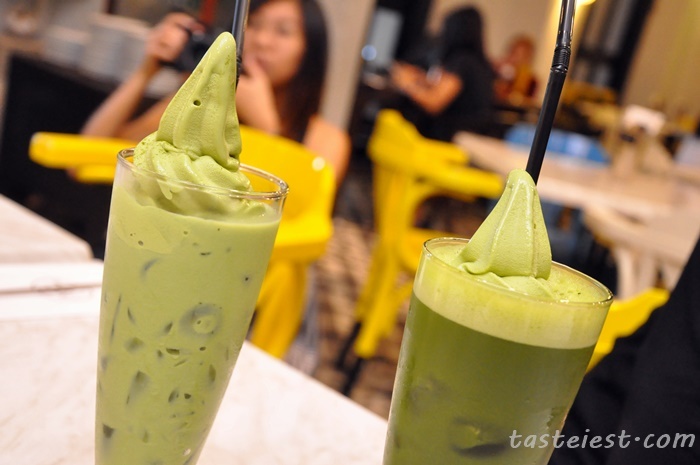 Iced Matcha Latte with Matcha Softee RM18 and Iced Matcha Tea with Softee RM15, signature drink that should not be miss. Lobster Bisque RM16, very strong flavor soup that rice in flavor. 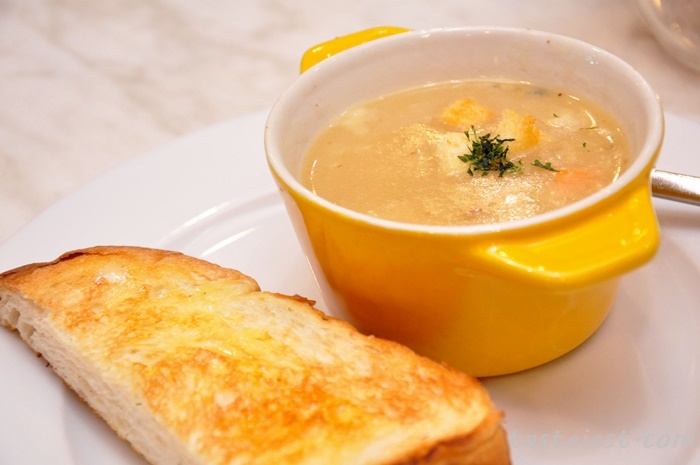 French Country Style Chicken Soup RM15, Chicken Broth, Chicken Breast, Black Pepper and Herbs for this bowl of clear soup. It indeed very flavorful. 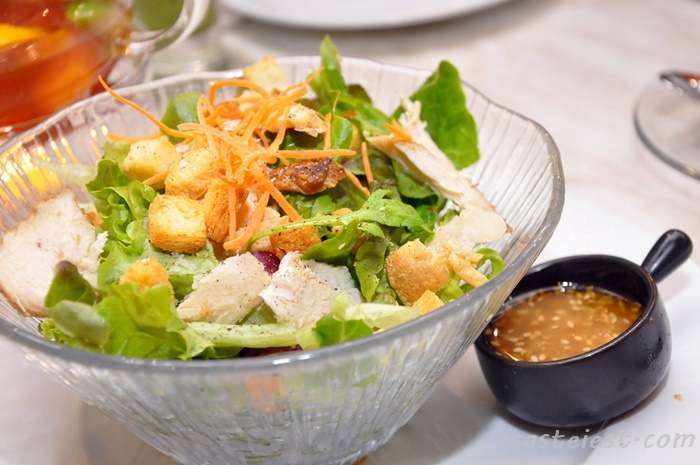 Chicken Miso Salad RM15, assorted fresh vegetable with chicken breast served with Miso dressing. 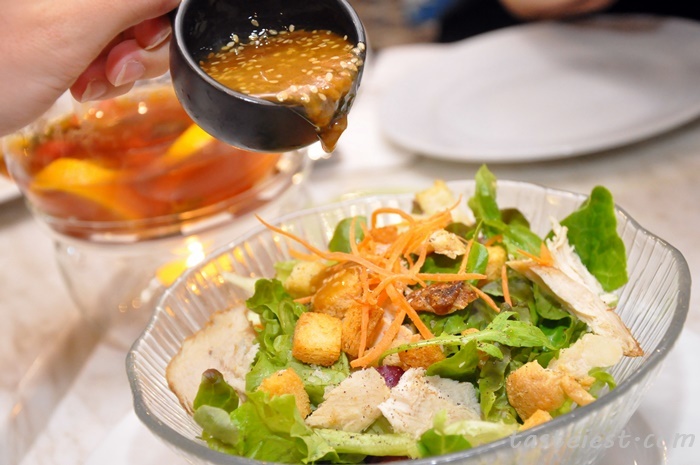 Miso dressing play a key role as it strong flavor make the salad taste rich in flavor. 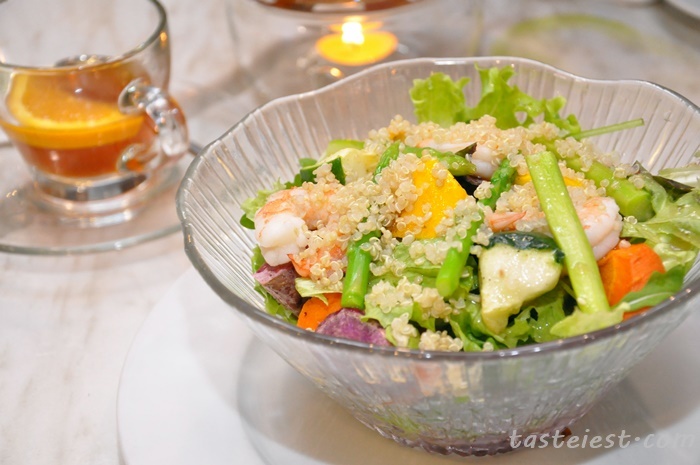 Superfood Salad RM15 with add on Prawn RM10, as the name suggest Superfood, it has high nutricious ingredients such as quinoa, beetroot, sweet potato, asparagus, carrot, zucchini…etc. 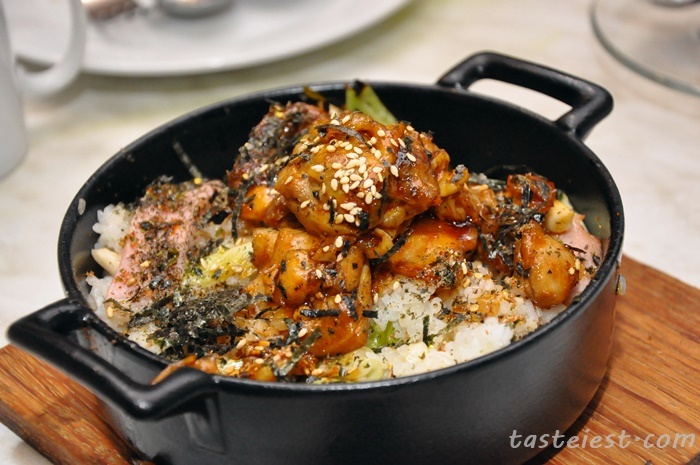 Riz Teriyaki RM26, Teriyaki Chicken, Leek, Seaweed, Nippon Suace and Shimeji Mushroom. Japanese rice are use instead of local rice and topping with seaweed and sesame help to boost it flavor. Teriyaki are nicely done to texture, very smooth and soft. Riz Miam Miam RM26, Bacon, Shimeji Mushroom, Tomatoes, Egg Plant, Baby Spinach, Pork Frankfurter, Onsen Egg and Japanese Chili Flake. 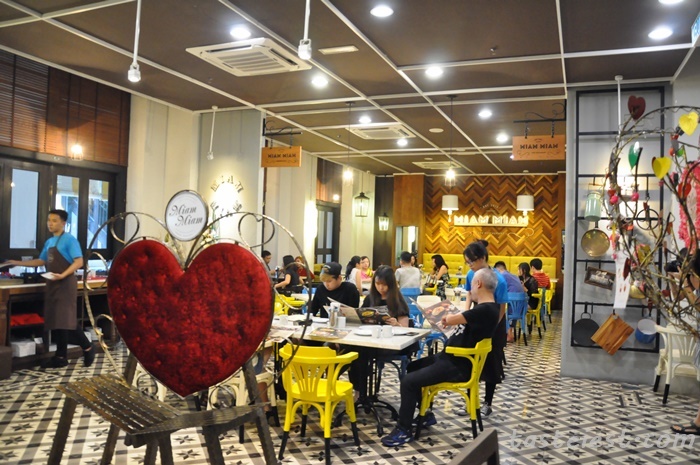 If you are frequent visitor to Miam Miam I bet you order Miam Miam Spaghetti before as well, no different from that signature spaghetti but instead of spaghetti it served with rice. 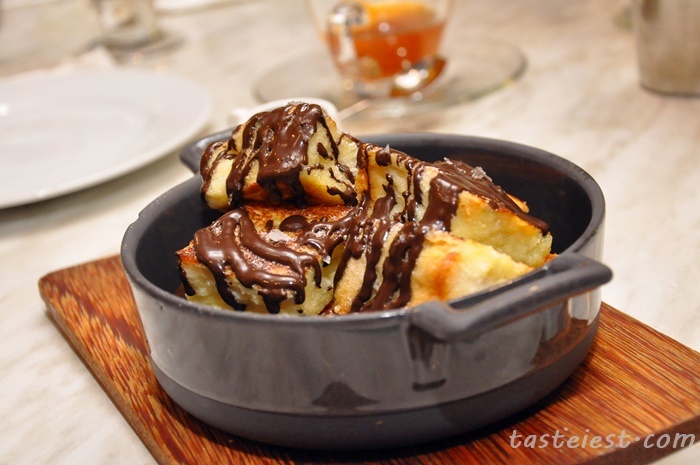 It still taste delicious and the mixture of various ingredients making it taste so good. 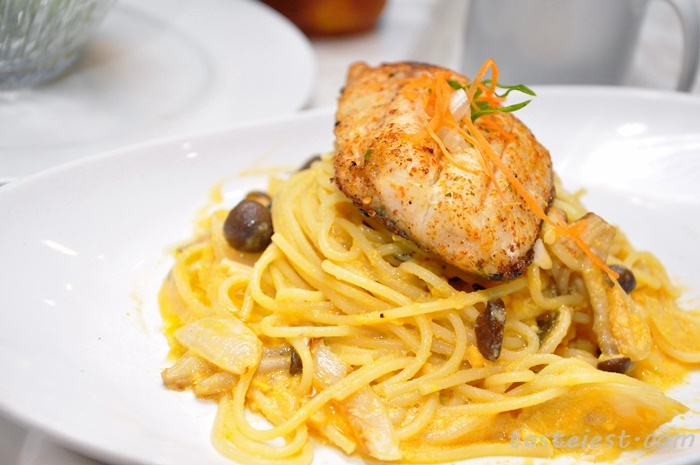 Salted Egg Pasta with Grilled Barramundi Fish RM36, salted egg cook with garlic, shimeji mushroom and onion served with grilled Barramundi Fish. If you are salted egg lover then you should not miss this awesome dish, it has very strong salted egg taste with curry leave fragrance. 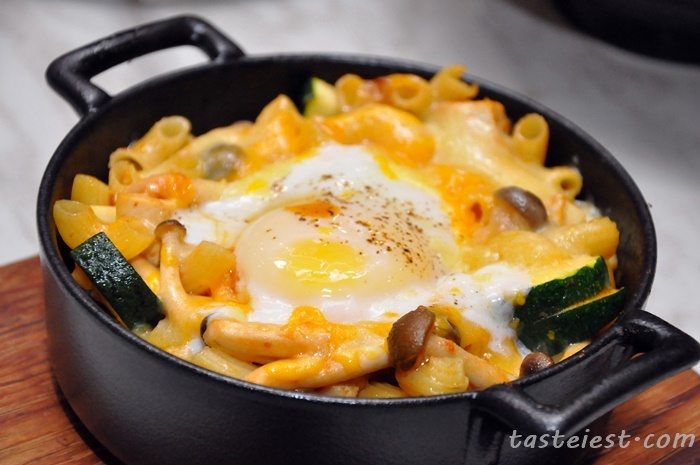 One Egg Pasta RM28, Macaroni, Minestrane, Chicken Breast, Vegetable, Cheese and Onsen Egg. 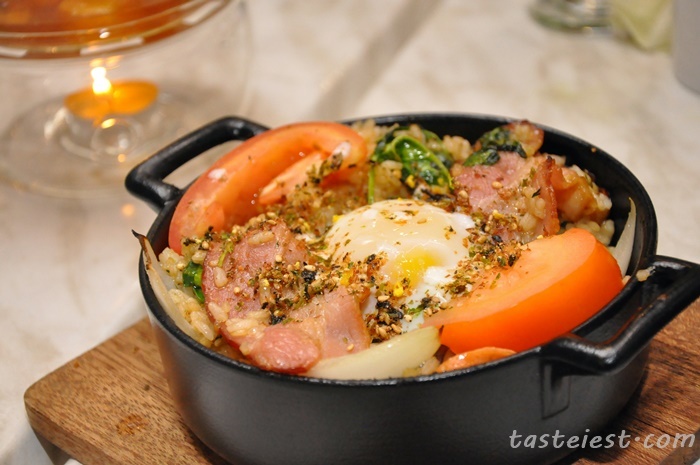 It has mild tomato sourish taste and combine with egg it blend well in flavor. 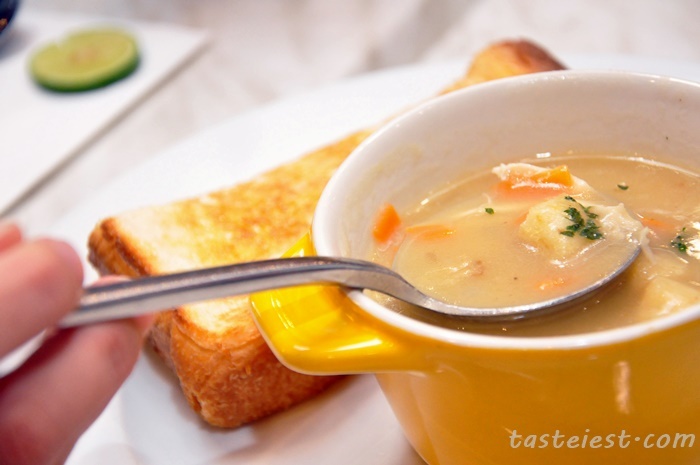 Not to miss the mushroom, zucchini and chicken cube found inside,. 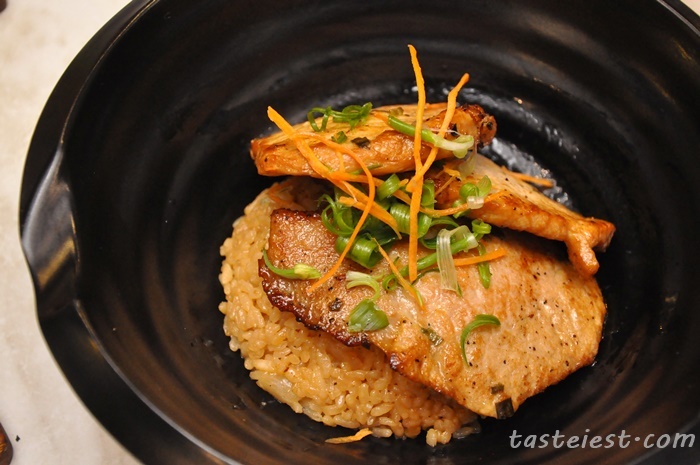 Barramundi On Rice RM28, pan fried Barramundi Fish served on Donburi Fried Rice. 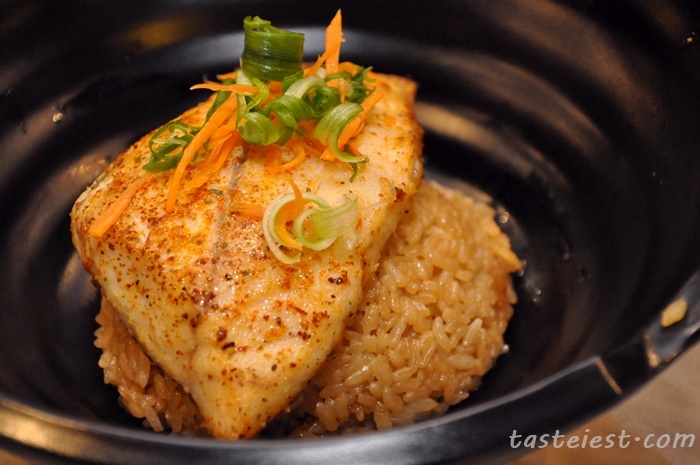 Fish fillet are perfectly grilled to perfection and the thick fillet gave a good bite texture. 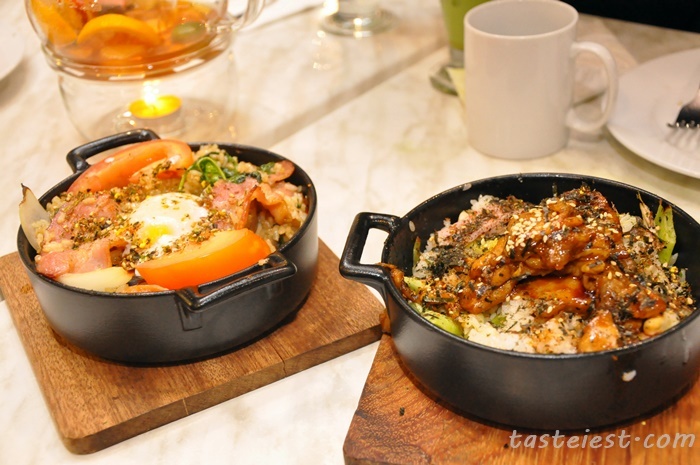 Shogayaki Pork Rice RM28, grilled minute pork fillet served on Donburi Fried Rice. Pork fillet are perfectly marinated to flavor then grilled, it has very smooth texture yet so flavorful. 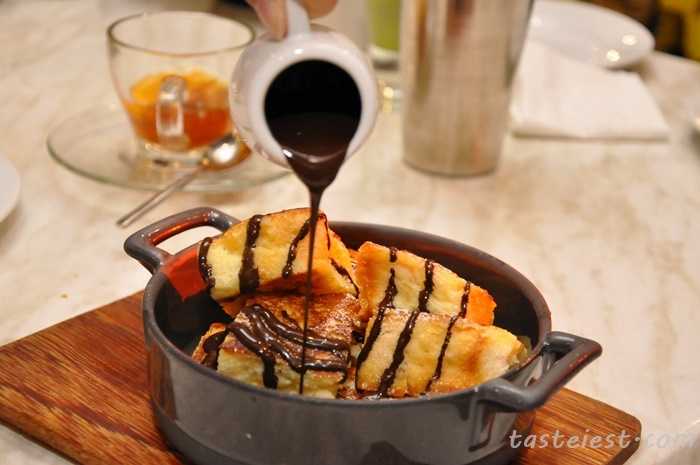 Valrhona Chocolate French Toast RM22, valrhona chocolate sauce and sea salt flakes french toast. Valrhona Chocolate taste bitter which goes well with sweet french toast but that is not enough, a pinch of sea salt flake on top gave it a surprise boost of flavor. 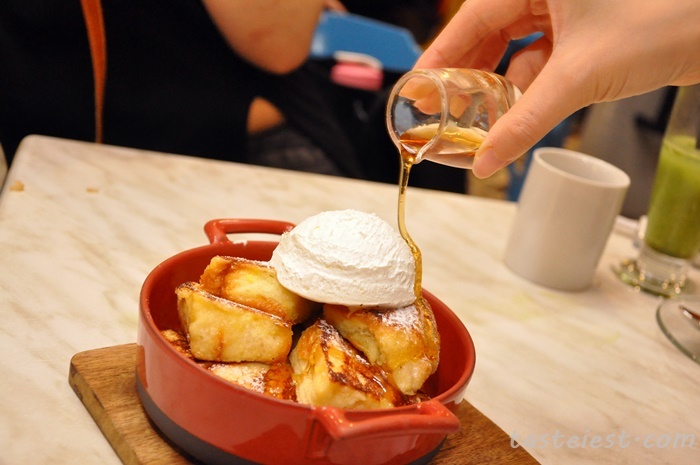 Famous French Toast RM20, served with maple syrup and whip cream. 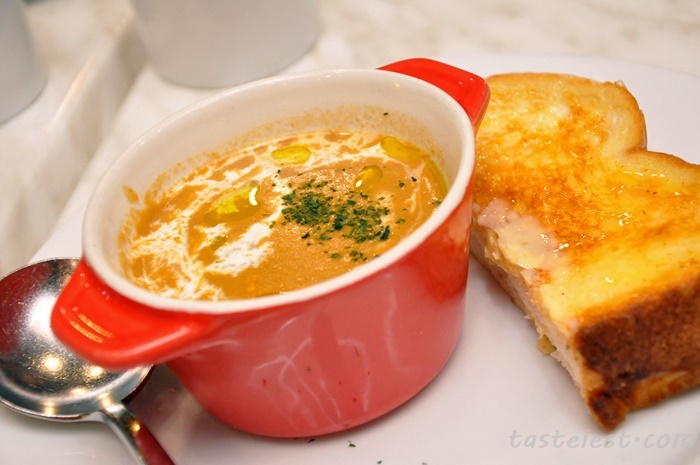 My all time favorite, i never miss to order this dish whenever i dine in Miam Miam. Salted Egg Souffle RM20, combination of salted egg and vanilla, light fluffy, crispy and moist texture. 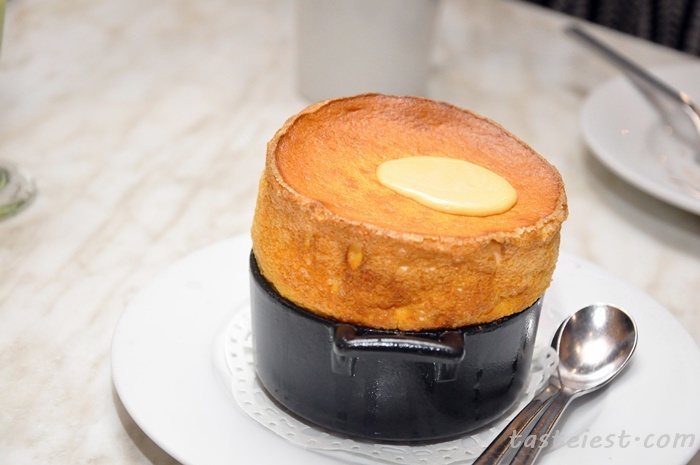 Souffle is signature dessert in Miam Miam itself, Salted Egg Souffle is an enhance version of their already famous Souffle, instead of boring sweet taste Salted Egg Souffle introduce salty taste to the dessert, it create a well balanced flavor which has sweet, salty and egg flavor in one. 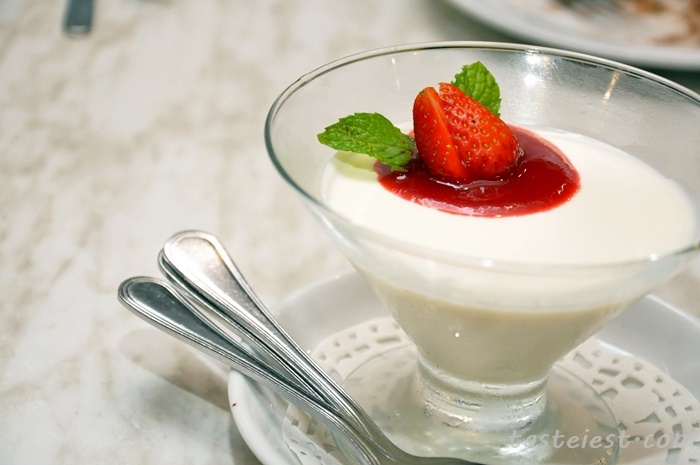 Panna Cotta RM13, served with strawberry, it has extremely smooth texture and sourish strawberry making it taste good. Popelini (8 Pieces) RM18, I would call this small puff as it has custard filling in it. Out of 8 pieces of Popelini, there is 6 different flavor which are raspberry, passion fruits, Nuttela, strawberry, blueberry and peanut butter. Extremely generous filling, eat bite are full with flavorful filling. Cherry Velvet Pancake RM23, fluffy pancake flavored with cocoa, stuff with dark cherries tipped with vanilla softee, blueberries, almond tuile and raspberry sauce. Very fluffy pancake. 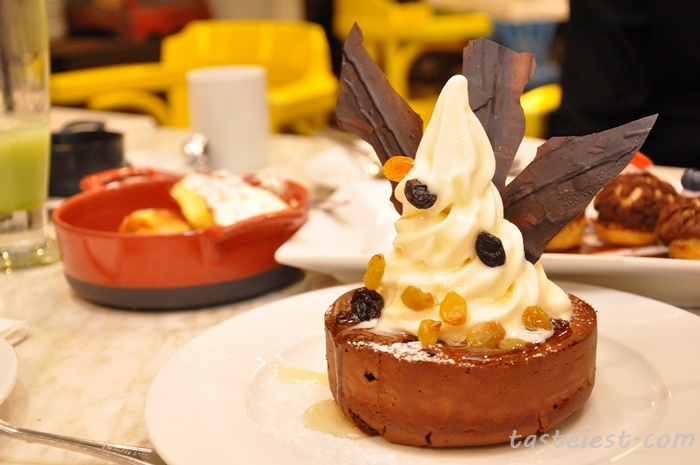 Rum & Raisin Pancake RM23, rum and golden raisins flavored pancake, topped with vanilla softee, drizzled with beautiful rum & raisin syrup and finished with home-made chocolate fan. Really enjoy the chocolate flavor pancake which has mild bitter taste that goes well with vanilla softee.